Immediately, I knew what the tree was resulting in unreasonable excitement due to my unreasonable love of trees. 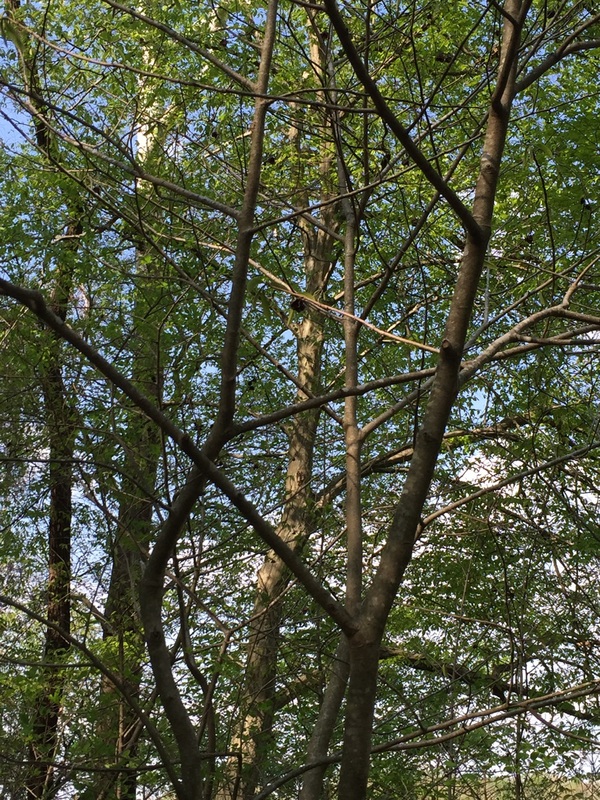 After all, my favorite tree that can still be found in the wild commonly forms understory colonies which is the case here. Truth be told I’ve never found a specimen in the wild; only what forestry teachers led us to for instruction. An aside: my favorite tree on the planet is and forever will be the American Chestnut. 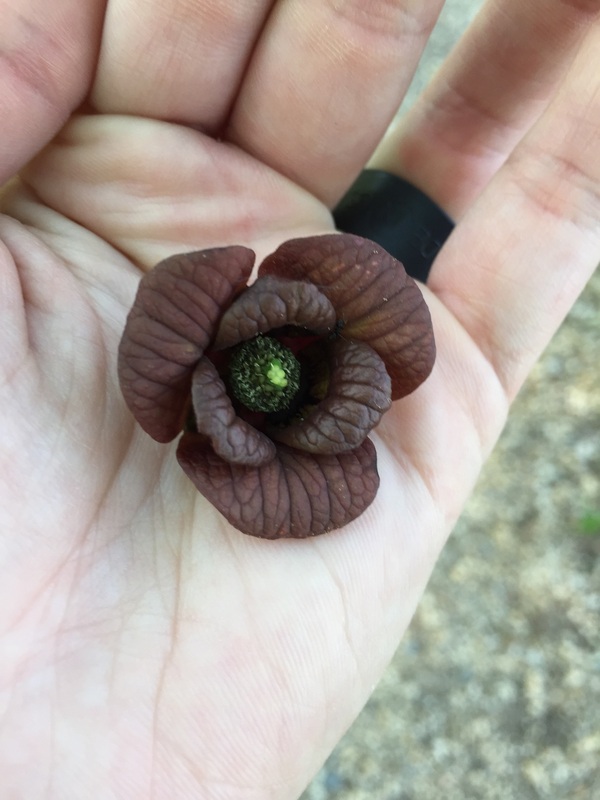 It is the Asiminia triloba, commonly known as the Pawpaw! What an amazing and unique tree! It is the largest fruit native to the United States and ranges east of the Great Plains. What makes it so unique is the texture and flavor of the fruit. Both are described with the dominant characteristic of “overripe banana”. It is like custard with each tree having a different tropical flavor influence. Pineapple and mango are two of the flavors produced by bred trees. I’ve even read one theory that the trees originate from when the eastern US was tropical and were able to adapt or evolve with the changes in climactic conditions. 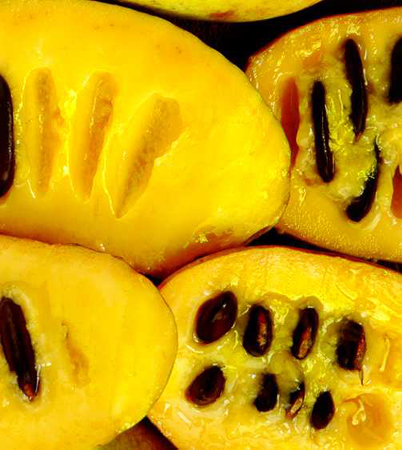 Chilled Pawpaw was a favorite dessert of George Washington. He, Thomas Jefferson and George Mason cultivated them in their vast individual orchards and gardens. Most importantly, the bare root Pawpaws I planted this spring are leafing out! ← My Bareroot trees are coming alive! I agree; pawpaw are awesome. 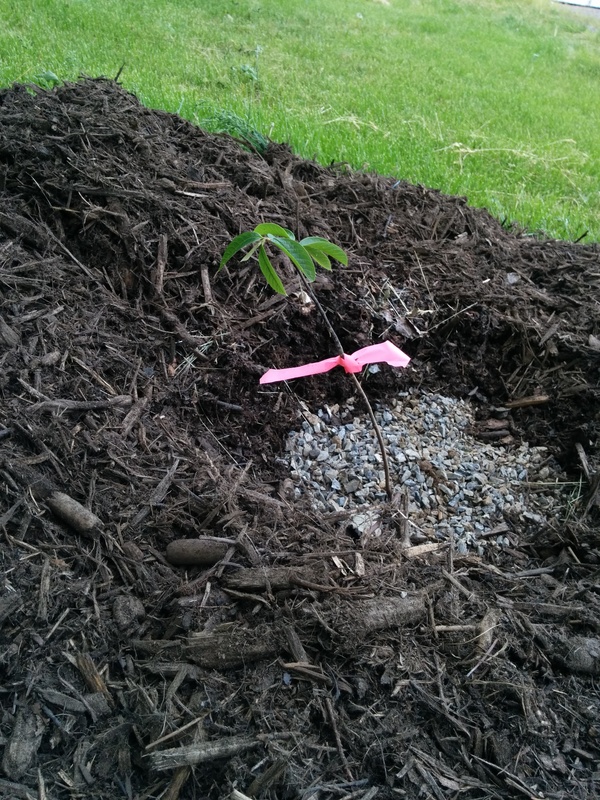 I hope the baby pawpaw trees succeed!